The latest aerial survey shows there are thousands more of the grouse in the Texas Panhandle and four surrounding states. Still, the total is tens of thousands short of what endangered species experts say is needed to achieve true conservation. The number of lesser prairie-chickens in Texas and four neighboring states is up nearly 30 percent, according to the results of an annual aerial survey released this week by the Western Association of Fish and Wildlife Agencies, which oversees a conservation plan aimed at protecting the grouse. Still, endangered species advocates describe that as minimal progress, and even association officials acknowledge there's a long way to go in restoring the bird's population. Last year, the breeding population of the lesser prairie-chicken — whose habitat spans the Texas Panhandle and parts of New Mexico, Oklahoma, Kansas and Colorado — numbered 29,934, according to the association, of which Texas is a member. This year's survey shows there are now 38,637 of the birds, or 8,703 more, marking the sixth year of population growth, the association noted in a news release. But advocates pointed out that the number is a far cry from a 10-year average population goal of some 67,000. “While we are pleased to see the recent increase in lesser prairie-chicken numbers, the birds’ recovery still has a long way to go,” said Bryan Bird, southwest program director for Defenders of Wildlife, one of three endangered species groups that petitioned to have the grouse listed as endangered in 2016. Two years earlier, in 2014, the federal government officially had designated the lesser prairie-chicken as threatened under the Endangered Species Act, but a judge reversed the decision, prompting yet another petition effort by Defenders of Wildlife, the Center for Biological Diversity and Wild Earth Guardians. The U.S. Fish and Wildlife Service is still reviewing the petition. Spokeswoman Lesli Gray said the agency could make a final decision this year. Wayne Walker of Common Ground Capital, an Oklahoma City-based mitigation banking company that is pushing for a revamp of the Lesser Prairie-Chicken Range-wide Conservation Plan, said “There are nearly 100,000 acres of the best habitat with the largest remaining bird populations that private landowners in Texas and beyond are ready to put toward the LPC program immediately." That land has not been tapped as part of the current plan, which offers economic incentives to landowners and companies that set aside land to help protect the bird. "If all parties can agree to program improvements we can turn the remaining strength of the LPC population into one that can hopefully outrun the risk of extinction that is currently predicted," Walker said in a statement. Association leadership touted the increase in a news release on Monday, but also acknowledged there is a long way to go — and that the year-over-year increase may be due in large part to good weather trends. 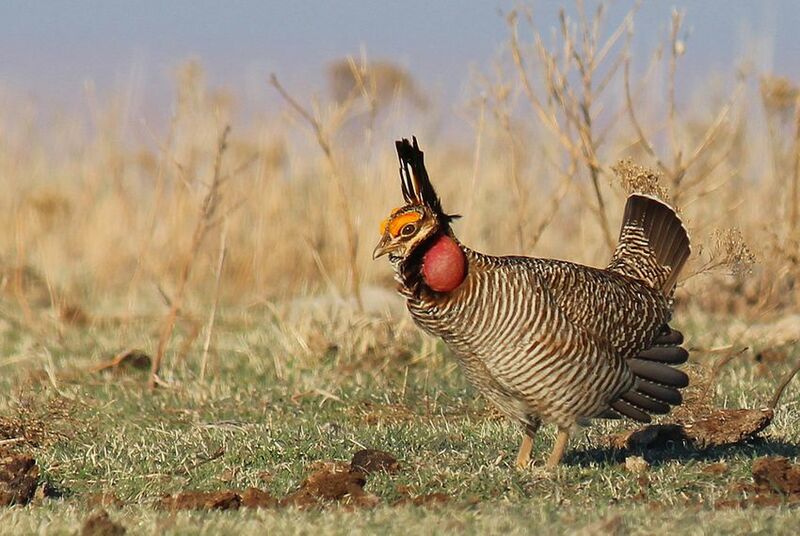 He added: "Moderate to severe drought over portions of the lesser prairie-chicken range this year may lead to a downturn in the population next year." Advocates also pointed out that the association had lowered its 2017 survey numbers, which inflated the percentage increase; last year, the association estimated there were 33,269 birds at the time. This year, it said there had been 29,934. That would mean there are only 5,368 more birds — a 16-percent increase. But Jim Pitman, the association's conservation delivery director, said the association updates past projections every year using new, more complete information gathered since the initial population estimate was calculated. And he said the association's contractor implemented a new, more accurate methodology this year that it will use moving forward. The difference in the population numbers is also still within the margin of error, which Pitman said is as high as 20 percent in any given year. A more accurate estimate would be a lot more expensive, he said.